I’m happy to announce that a new Trunk Show has arrived at the Hillsborough Yarn Shop! 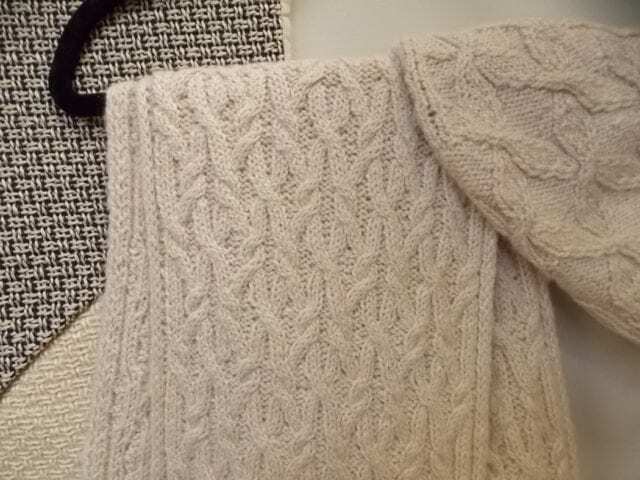 Come by soon to see the Fibre Company Acadia Collection. This collection is named for the yarn it features: Acadia, a dk weight blend of merino, alpaca, and slubs of silk. 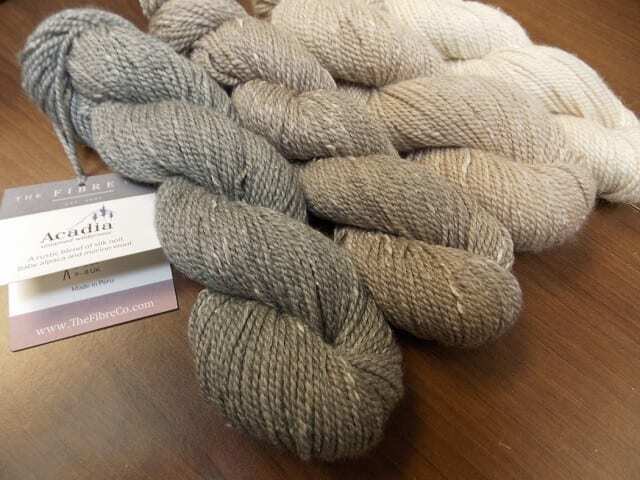 The silk takes the dye differently than the other fibers, giving most colorways a rustic, tweedy appearance, which belies its luxuriously soft hand. 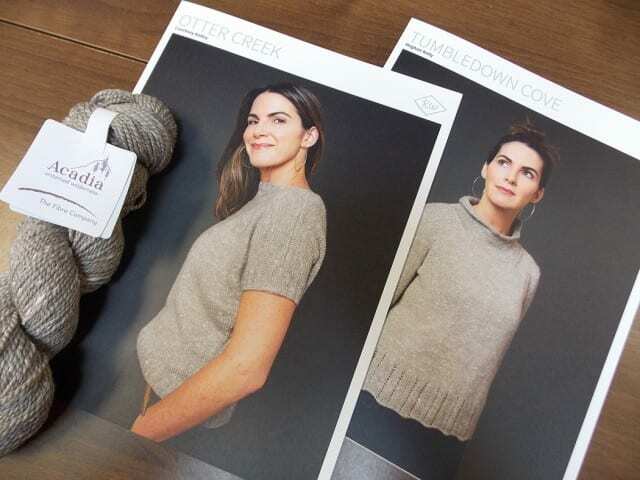 The Acadia Collection is designed to show off this special yarn, and so it features classic, simple garments that walk the line between casual and elegant. 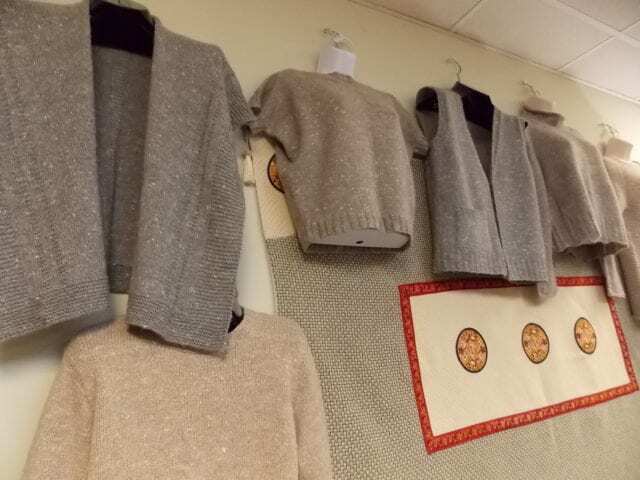 So often we knit from instructions and sets of measurements and guesses about how a sweater will look or feel after we spend time creating it; a trunk show is a unique opportunity to experience a handknit garment before you put the work and money into making it, to be sure it’s what you want before you begin. 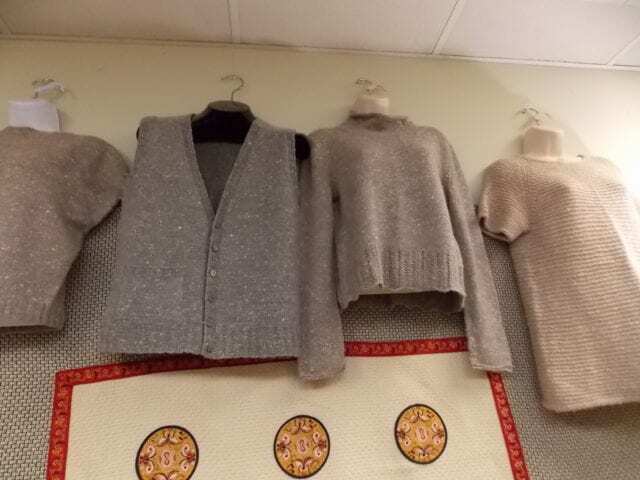 Come by the shop before July 10th to see the Acadia Collection for yourself, to admire and try on these garments for size!